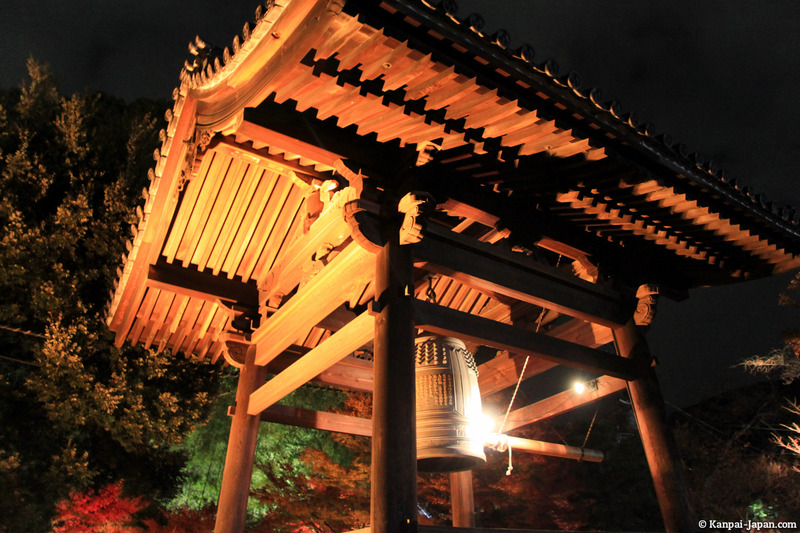 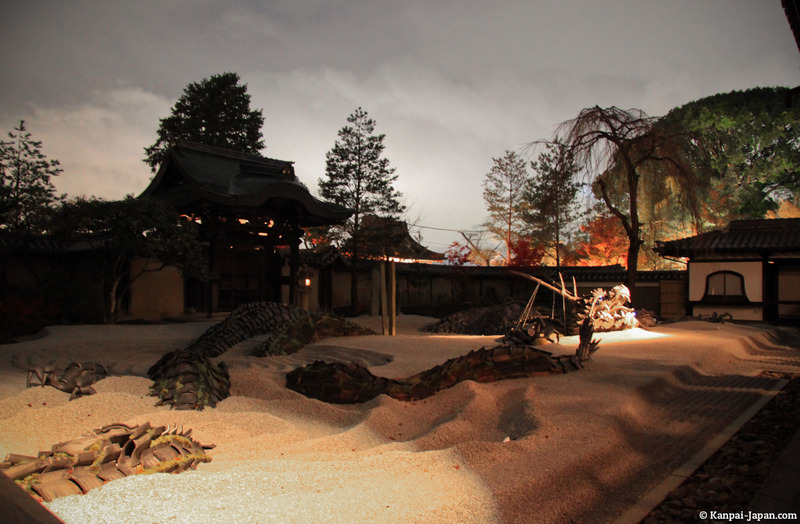 Among the many temples in Kyoto, I never had the opportunity to visit Kodai-ji. 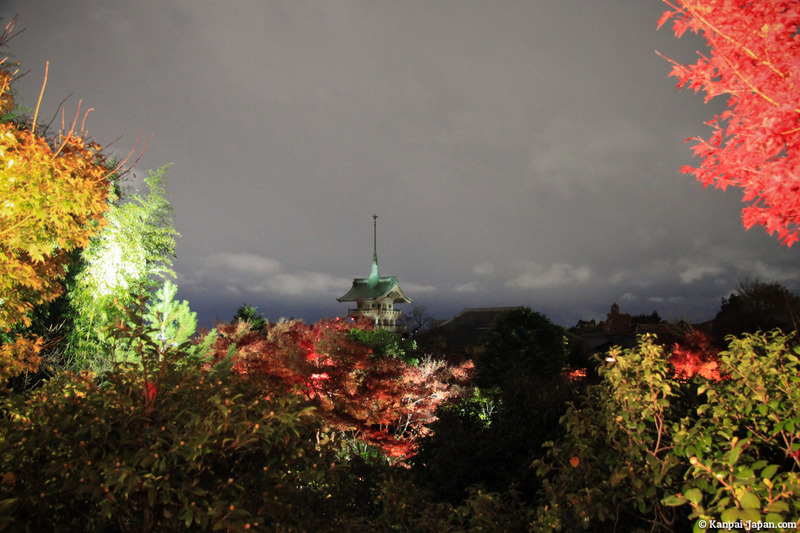 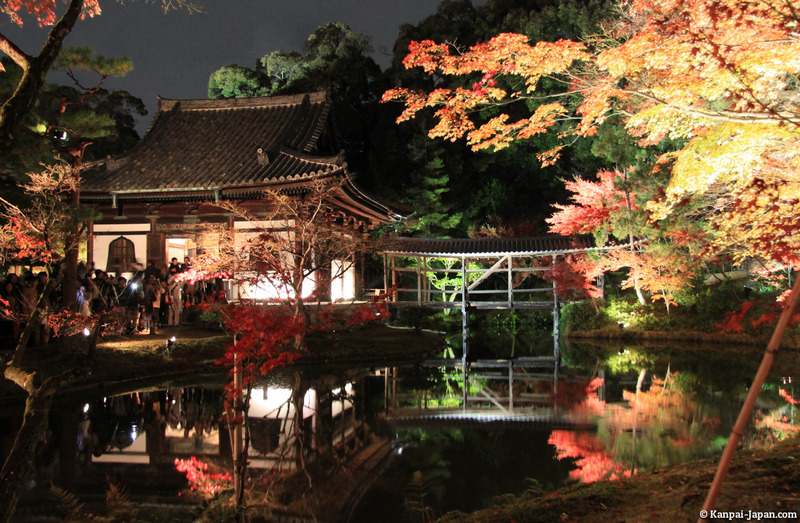 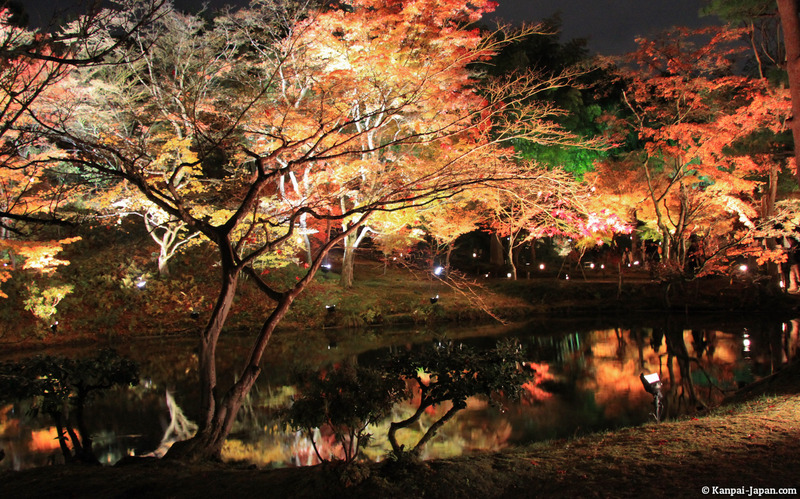 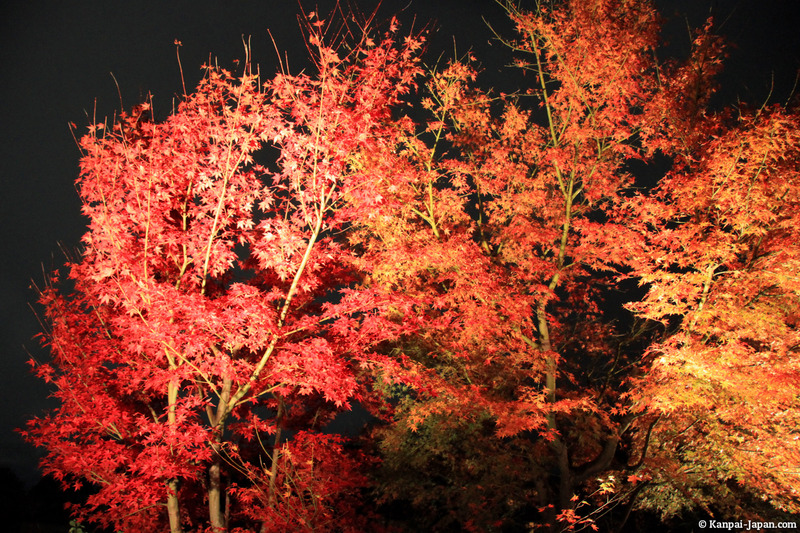 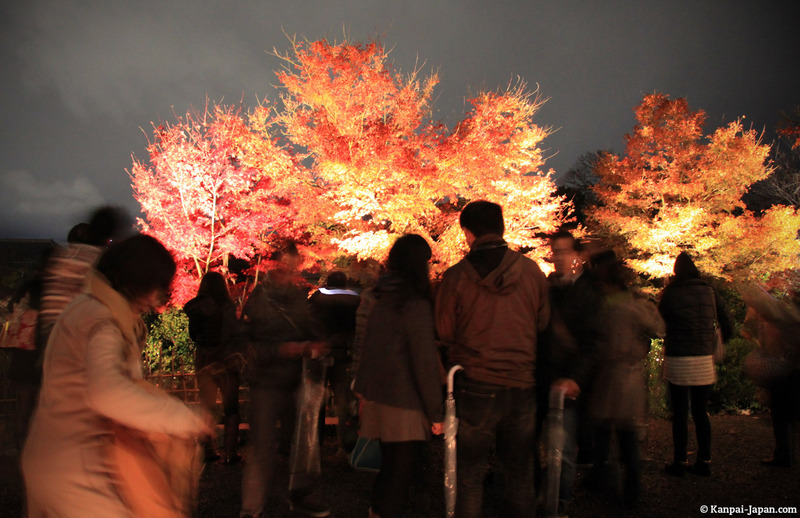 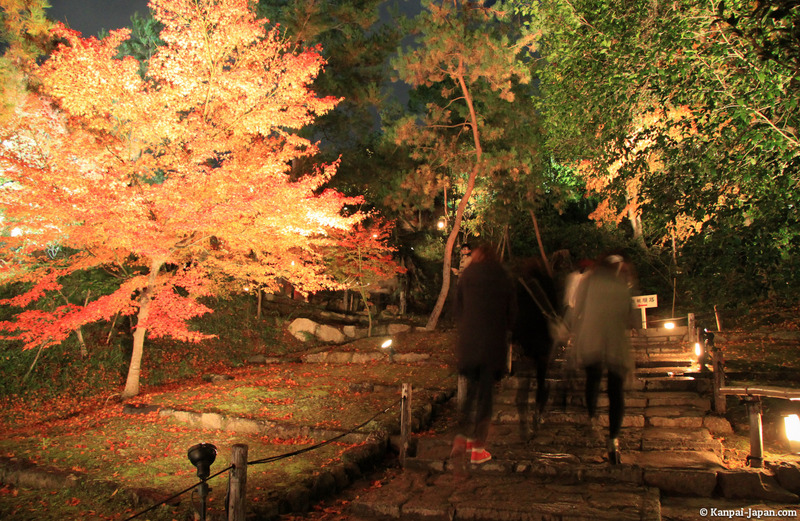 This was corrected during my last trip to Japan, not only because our rental house was located only a few steps away, but also because Kodaiji is one of the temples in Kyoto that offer momiji light-up by night to enjoy the red maple trees at their best. 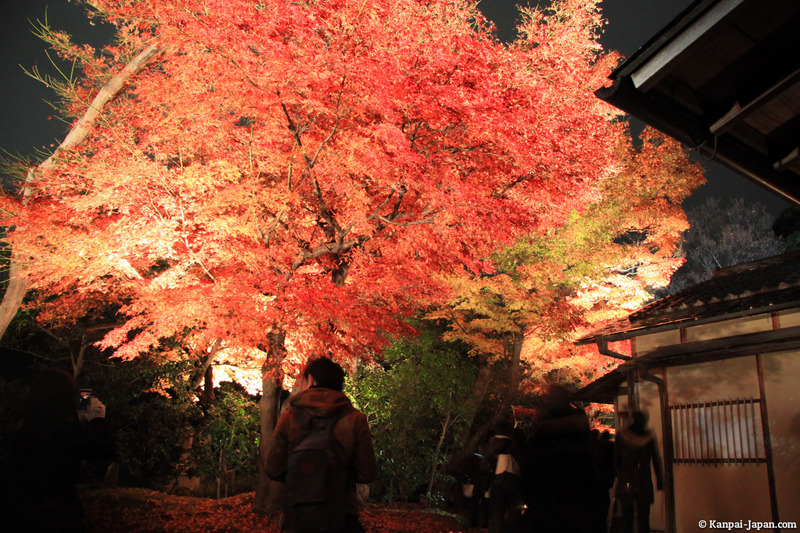 Like other temples in the same case, such as Kiyomizu-dera which is close, Kodaiji is a victim of its success in this period. 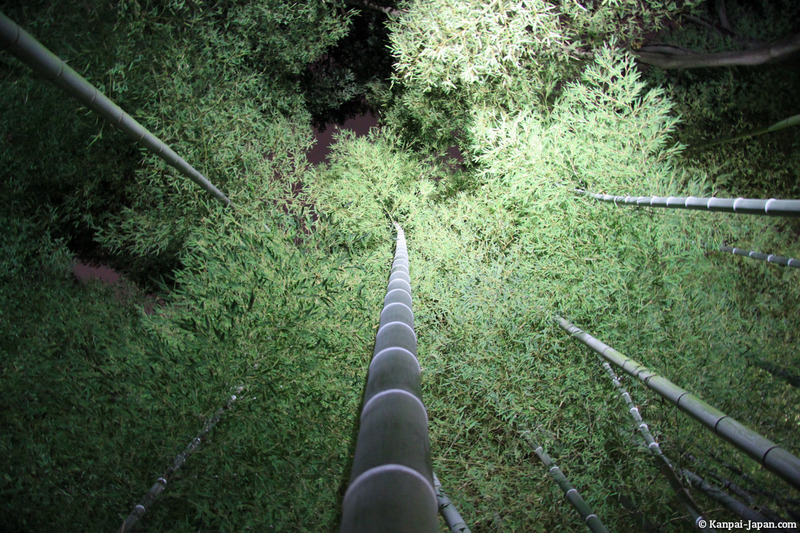 You'll have to be very patient and quite courageous to endure the impressive flow of visitors, in order to admire the view as much as possible and bring back the best pictures (be careful because tripods usage is forbidden). 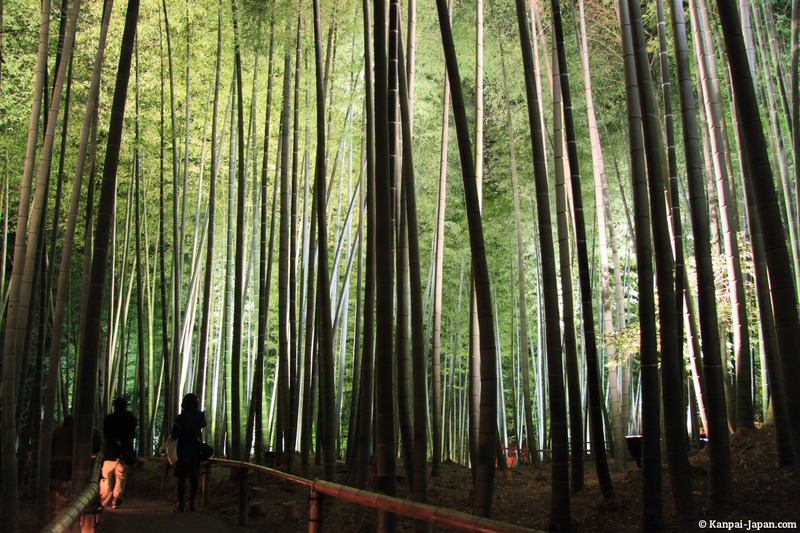 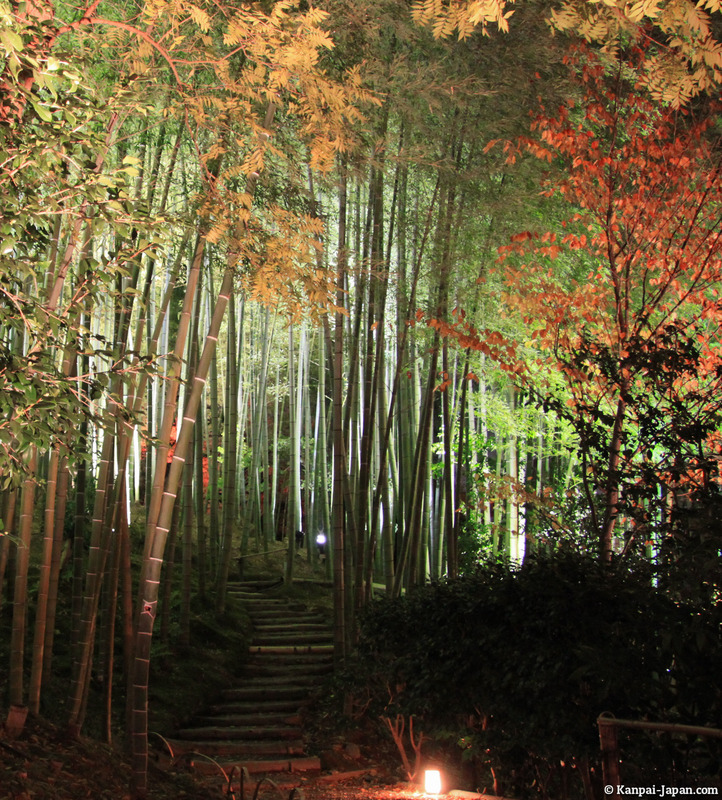 Apart from momiji and Buddhist buildings, another key point of the tour is the incredible bamboo forest which is well worth the one in Arashiyama. 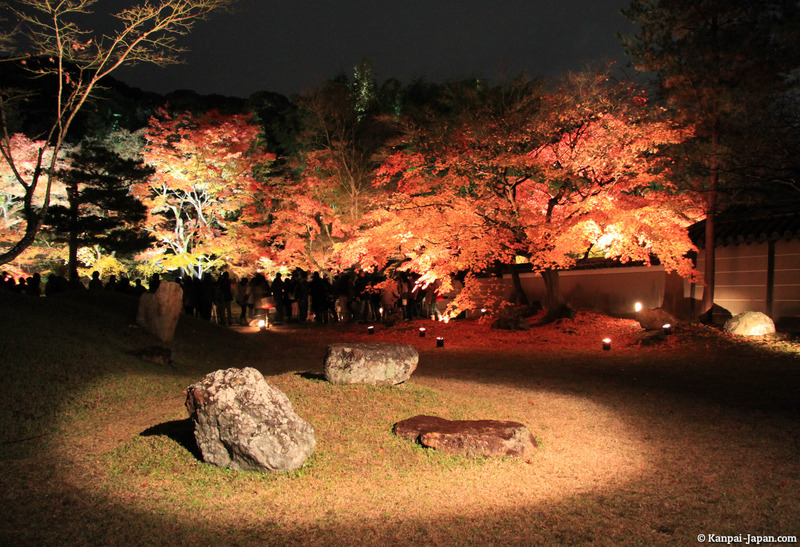 Indeed, its lights make it even more magical. 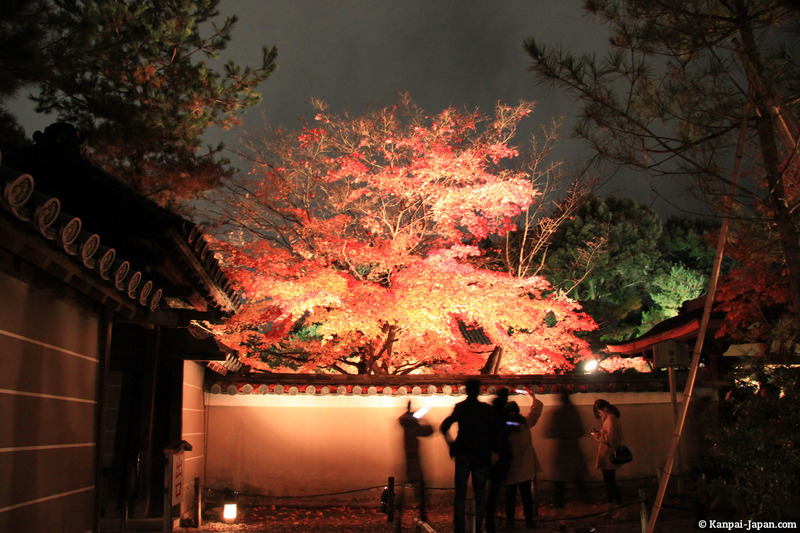 Note that the expensive 600 Yen admission fee offers access to a relatively large complex and also to Kodaiji museum as well as a large Buddha, unfortunately closed at the time of our visit (because not affected by the night).